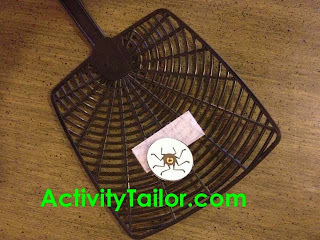 Speechie Freebies: Squash the Spider, Don't Spill the Cider! I originally designed this as a minimal pairs game for a student that omitted the adjacent consonants in /s/ blends. 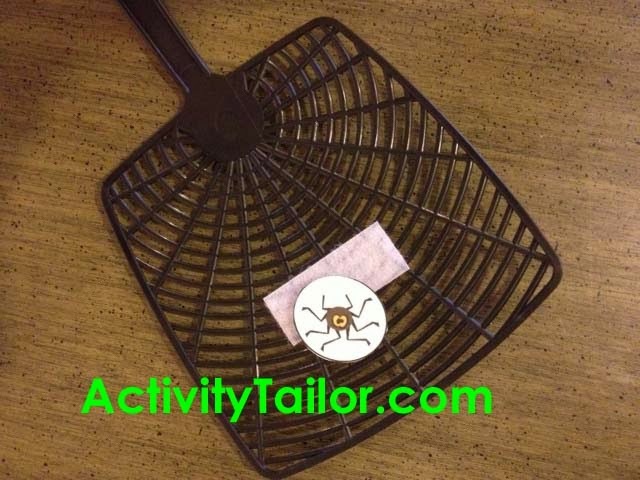 We would turn all the items face down and swat on our turn to see if we had squashed a "sPider" or spilled the "cider." He loved it! You can also use this with a wide variety of /s/ blend vocabulary such as: spider, squash, spill, smush, smash, swat, squish, splat or smack. For kiddos working on simple expressive language, try "boo" when you hit a spider and "uh-oh" when you spill the cider. Read my complete blog post and pick up your freebie here.